Dan Bugg studied printmaking at the Royal College of Art. He launched the Penfold Press in 2006 as a printmaking studio and publisher of Original Prints. Since then he has regularly worked with a select group of artists to create beautifully editioned prints that are sought-after by collectors and art lovers alike. "When working at the Penfold Press the energy and sense of enjoyment you get from working with others is infectious, the print studio is usually a fun place to be with collaboration and shared endeavour being at the heart of everything I do. I've always wanted that spirit to help the Penfold Press grow and I think one of its great strengths is the sense that we are all in it together, artist and printmaker working as one to help develop and realise an idea. There is no hierarchy or ego involved. All the artists are incredibly supportive and keen to collaborate and share ideas. The studio itself isn't a huge commercial space; instead it's a place where artists, family and friends come together. I regard all the artists I work with as good friends, we have a mutual enthusiasm for collaboration and we enjoy what we do. Hopefully this comes through in the finished print and it, in turn, finds an audience." Emily Sutton graduated with a BA in illustration from Edinburgh College of Art. Her work incorporates a love of pattern, a fascination with detail and a love of Folk Art. Her work is strongly influenced by the landscape and creatures of her surroundings in the Yorkshire countryside and her prints with the Penfold Press have been widely exhibited across the country. Emily has illustrated a variety of the children’s books including Clara Button and the Magical Hat Day, for the V&A, and the award-winning LOTS: The Diversity of Life for Walker Books. Clare's work reflects her love of British 20th century Art and Design and although subject matter can vary inevitably plant forms find their way into most of her work. 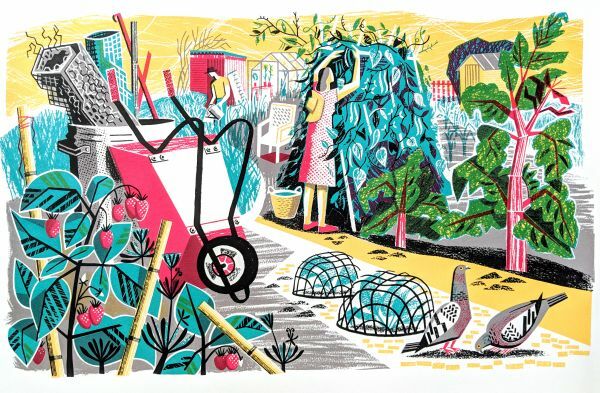 Clare has collaborated with the Penfold Press on a series of screen prints that celebrate her love of horticulture and the delights of her treasured allotment. The prints capture the changing seasons through the work and toil of those tending their patch and the constant change brought about by their labours. Since 2014 Clive has worked with the Penfold Press to develop a series of prints inspired by Simon Armitage’s translation of the epic medieval poem Sir Gawain and the Green Knight. Ed Kluz is an artist, illustrator and printmaker whose work explores and reimagines historical landscapes, buildings and objects. He has a particular interest in the development of British decorative arts and architecture. Ed’s series of prints with the Penfold Press take their inspiration from the buildings of the Landmark Trust, the images explore contemporary perceptions of the past through the reimagining of historic landscapes and buildings. Ed Kluz: The Lost House Revisited was published by Merrell in 2017. Born in 1974, Mark Hearld studied illustration at Glasgow College of Art and then completed an MA in Natural History Illustration at the Royal College of Art. Taking his inspiration from flora and fauna of the British countryside, Mark has completed commissions for Faber & Faber and Tate Museums. In 2012 Walker Books published 'A First Book of Nature' illustrated throughout with a series unique collages, quickly followed by the release of Mark Hearld's Work Book published in August of the same year by Merrell Books. 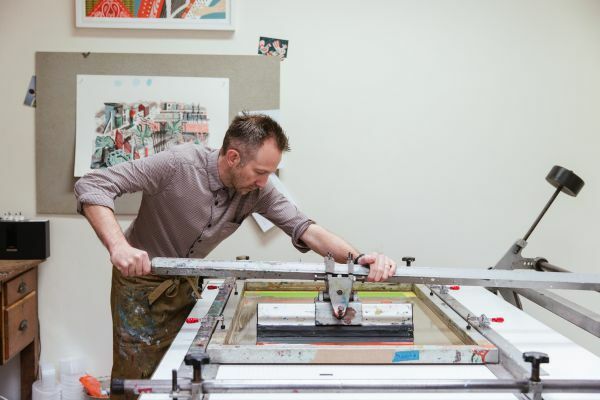 Mark has been making prints with the Penfold Press since 2004 producing a range of etchings, screen prints and linocuts that demonstrate his incredible creativity and enthusiasm for the printed image. Daily from 10:00 to 17:00.